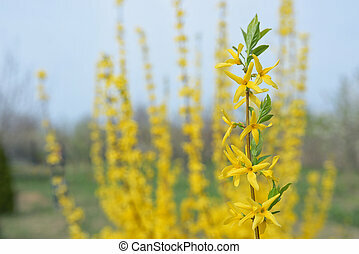 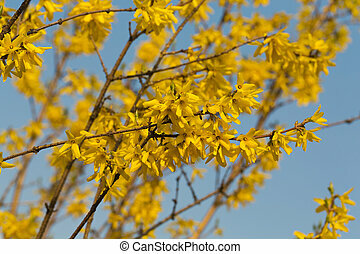 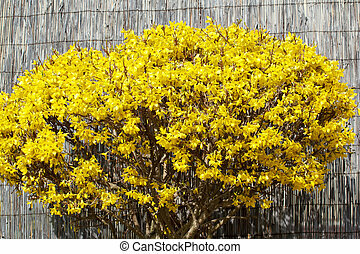 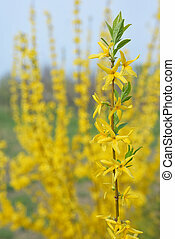 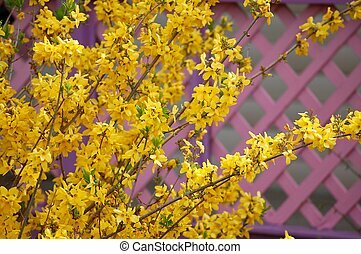 Forsythia bush. 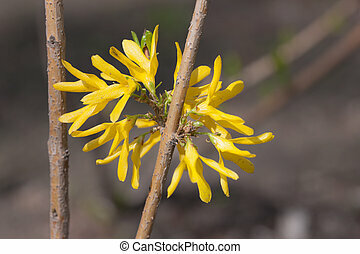 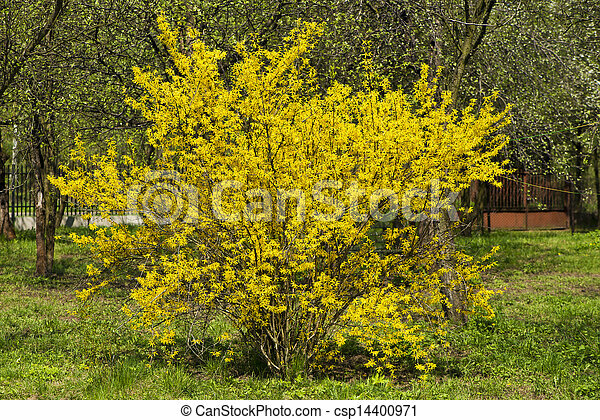 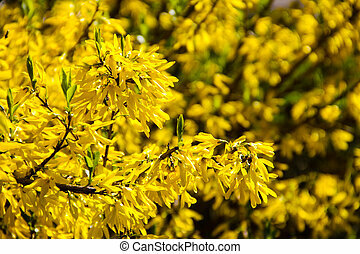 Wild bush blooming forsythia - yellow flowers. 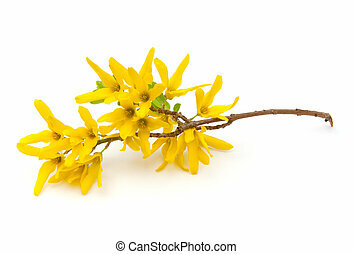 Forsythia (Oleaceae) flowers on a white background. 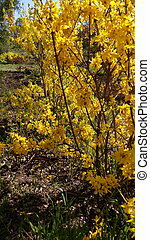 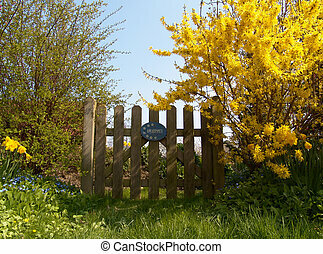 A bright yellow Forsythia bush blooms against a lavender trellis. 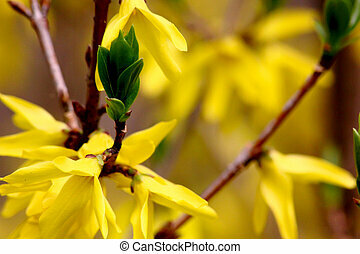 Blooming yellow flowers forsythia bush. 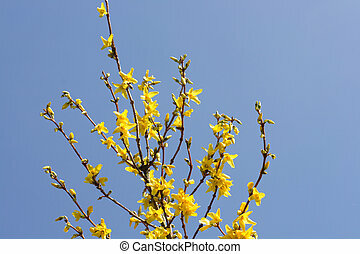 Spring garden. 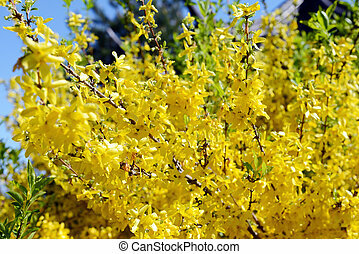 yellow forsythia bush blossom. 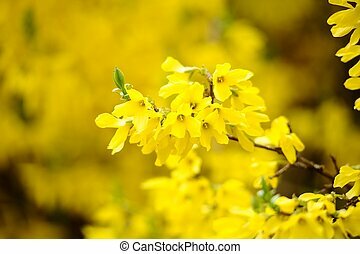 springtime.